After countless articles about and interviews with Jo Dee Messina, I believe the cat is out of the bag — I am a tremendous supporter of this artist, her talent, and her projects. 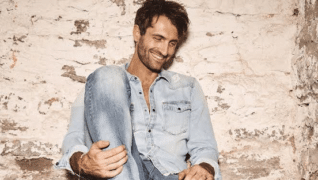 While I spoke with Jo Dee, someone I have come to consider a friend in this industry, about her touching, emotionally driven new single “Will You Love Me?“, I felt overcome with angst and sympathy regarding the track. And that ability to take feelings, put them to music, pour herself into the delivery, and do it all with unadulterated honesty is why Jo Dee and her song deserve accolades. “Will You Love Me?” is a song that Jo Dee wrote about a friendship that went dark when the spotlight that shone on the Grammy-nominated artist began to dim. The situation pained Jo Dee to the point of needing a release, and she chose the route of pen to paper to work through her grief. 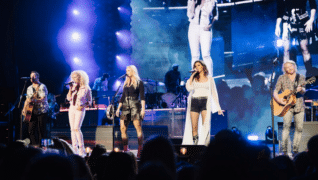 The song has become a fan favorite, as she has been performing it on the road for some time now with a full band behind her and a piano-only introduction and finale. 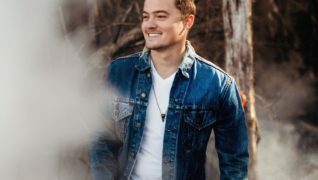 When Jo Dee partnered with Country Now for an acoustic recording session, the song was brought to the table and, unbeknownst to the singer-songwriter, her newest single was being born. 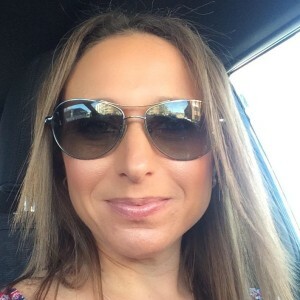 Thus, a single was now suddenly in Jo Dee’s hands and the support began pouring in from big names in the industry, such as Butch Waugh, the powers that be at Sirius XM, and terrestrial radio stations. Of course, with the whirlwind creation and marketing of a brand new, never before recorded single underway, the question of whether another album, containing the track, will be released in the near future. So, they’re kind of pushing us to get into the studio again to get new songs cut, which will happen in the next month or so. It just happened. Literally. I was touring, we were on a three week run out to the west coast and all these guys are talking and it’s happening, and I come back and got an e-mail from my publicist saying “FYI, XM’s going to start playing your song.” I didn’t even get it! So, the folks from Country Now . . . brought it over there and they were gracious enough to play it. 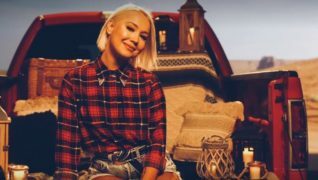 Not only is Jo Dee ecstatic that her song, albeit unexpectedly, is receiving positive attention; her fans are thrilled for her and sharing their enthusiasm with the artist who deserves the respect she is receiving. And while Jo Dee’s new song is making waves, catching ears, and turning heads, the question remains: Has the subject former friend heard the song yet? Oh, I don’t know! She doesn’t return my calls still (laughs)! Even though Jo Dee can laugh about the lack of response from the former friend now, once upon a time the situation wasn’t so funny. In fact, it was downright hurtful enough to drive Jo Dee to create a song that allowed her to emit what was in her head and heart. I didn’t reach the point of acceptance while I was writing the song and you can hear it. And it’s funny because, and then you’ve seen it live, when I sing it, you can feel the emotion that I felt when I was writing it, because it is literally my heart on the stage. It’s like that part that says “when you’ve taken all I can give and there’s nothing left, will you love me then?” That is the most hurtful line in the whole song and that was like “wow! I spent my whole life giving and now when I don’t have anything to give, where does everybody go?” It was very honest, and you know the turn around of that whole story. . . . You know that I found out that the one that is most faithful, loyal, and gracious is the Lord God, Jesus Christ. That is who stands there when everyone else is gone, for me. . . . It’s very current in the emotional place when I perform it and when I wrote it, I was angry. I was hurt. I was everything that goes along with losing a friend. Perhaps what has made this song especially unique is that intense emotion that has gone into the lyrics and every performance of the song, which has given way to a rather versatile track. 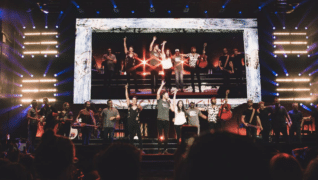 As such, the song has been described as one that can “stand on its own,” even with the removal of the piano, layers of guitars, and slamming drums. Because the track can be relayed seamlessly, whether fully produced or acoustic, Jo Dee will be going back into the studio to record “Will You Love Me?” the way she initially heard it in her head when she wrote it and still envisions it. That means fans will also have access to a symbol banging, guitar riffing, drum slaying version of the song — on a forthcoming album. It might be an EP ’cause I can get it flipped around faster. We’re doing another song, it’s called “Masquerade,” I really just wrote it three weeks ago. It’s the same vein as that song. That same really heavy, rocking layered guitar sounding. And it’s such a blast! We’ve got the material to go in and cut an EP immediately, but it’s a style no one’s ever heard for me. [I’m] plugging away; new material. Going in kind of a new direction for me musically. That’s real exciting to be sitting on the brink of that. And then a girl I was writing with was like “we need to write more of this stuff! This is great! This is so much fun!” So, as soon as I get off the road, I’m going to have a chance to go into that whole writer mode and, in the process, maybe scripting another book. You know me! I always have fifty million things going (laughs). 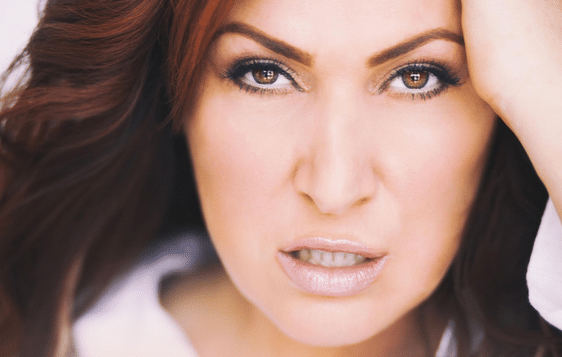 The first peek at Jo Dee Messina’s new material, “Will You Love Me?”, can now be found on iTunes in its most raw form. And know — each time you click download, each time you hit play, each time you learn a new lyric, each time you belt this song from the depths of your core — Jo Dee expresses her heartfelt gratitude for your support. Just a huge gratitude for the people who believed it and carried it over to XM. We’re getting calls from terrestrial radio, regular radio stations now . . . asking us for versions of it now. I just think, you know, Jen, just to have somebody believe enough in your stuff enough to push it, as opposed to trying to roll that boulder by yourself. It’s a big deal. So, I’m just coming from a place of gratitude on this one. For more information on Jo Dee Messina and to stay up-to-date on what’s next for the fiery phenom, follow her on Twitter, Facebook, Instagram, and her website. You can also watch Jo Dee’s acoustic performance on Country Now below and download a copy of her new single, “Will You Love Me?”, by clicking here. Tags:country music Country Now iTunes Jo Dee Messina Jo Dee Messina lyrics Masquerade Me Nashville Sirius XM Sirius XM The Highway SiriusXM The Highway Will You Love Me lyrics Will You Love Me Then Will You Love Me? Sirius is the best way to fight the corruption, selective and repetitive artist rotation soft country world of country radio. They have one agenda; to merge country into mainstream for control. Sirius The Highway embraces all new and established artists, with no gender agenda. Keep it up Jo Dee. You are indeed a treasure.